High-speed Internet for everyone is one of the most challenging issues of all Fixed net and Mobile operators worldwide. Customers expect fast, reliable and highly available connectivity in every situation and not being able to provide this, may cause to lose the customer. Network-Performance Testing is a Module in XMASS Test library and is responsible for measuring Network Performance especially in Fix-Networks like LAN or DSL. The Module consists of two sub-modules for Client and Server (Sender and Receiver) activities. The tests can be run using TCP and UDP protocols, where TCP is used mainly for Throughput measurement and UDP is mainly used for Pocket-Loss, -delay and Jitter. The Server Testcase can handle multiple client requests simultaneously, enabling the system to test in a “Star-Topology” (one Server, many Clients) as well as in peer-to-peer mode. Beside this, every channel can act as a Network Performance Server node and Client node at the same time, which makes Bi-Directional testing possible and provides the advantage of tests between all nodes (many-to-many). With all these features, there is literally no limitation in test definition and topology. Speed test Application is an application to be installed on a server of choice. This Server must be accessible for all users of Speed Test over Internet. The Application automatically determines the needed file size for download and upload before running the tests. The Application measures Download and Upload Throughput as well as Pocket delays between end users PC and the Server, where the application is running on. Having this Server within the countrywide network allows measurements before international gateway. In Parallel the same application can be installed on a Server outside of the country network (e.g. on an Amazon Cloud instance in Ireland) to provide the same kind of tests for the international connections. The user Interface can be modified and customized to look nicer and more customer friendly. The results of the Speed Test Application are stored into an open MySQL Database, which might be on the same Server as the Application or somewhere else. The Performance data is captured in correlation with the customers IP address, which can be used. interfaces to achieve the largest variety on possible tests for LAN, PSTN, and mobile Testing. Every channel consists of two cards, a CPU card, and an Interface Card. 8 channels is able to provide 48 LAN Interfaces simultaneously. One of the major advantages of PIXIP.NET probes is that PUX and MiniPUX are both use the same channel hardware. This feature provides the flexibility to swap the channels between PUX and MiniPUX. The latest development of PIXIP.NET is one of the smallest test probes available on the market. MicroPUX is designed and dedicated to Broadband Data Testing in both fixed line and a Mobile environment. MicroPUX is equipped with 3 Gigabit LAN-Interfaces, which can freely be used for communication- and testing purposes. 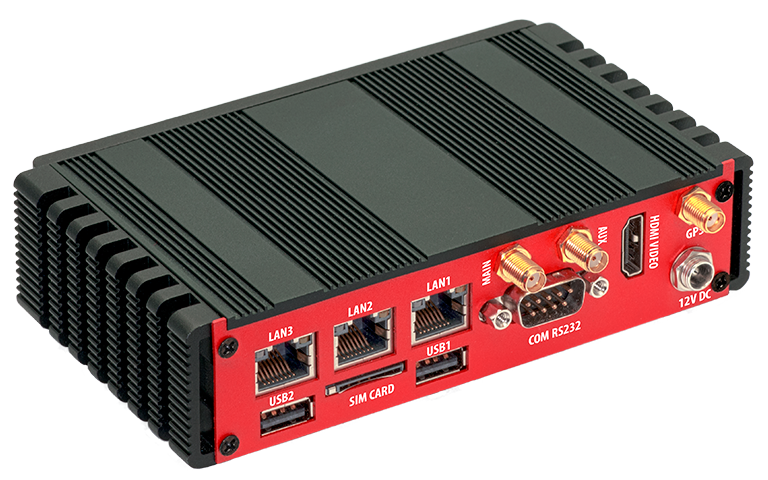 Beside the LAN Interfaces for LAN/DSL Connectivity, the MicroPUX also provides an option for a built-in Mobile Interface covering 2G, 3G, and LTE. The Mobile Interface can be used either to communicate with the central environment and transmit the test results over the cellular network or to run Tests against Mobile Network. MicroPUX is especially fitting to “Customer Experience Management” requirements in the area of DSL and LAN Testing. Due to its small size of 14 x 8 cm, it is the perfect test probe to be placed at customer sites or literally at any other network node to test the network performance.